Secure Technologies Group, LLC co-founder, Eric Jan, is a well-established expert in information security, information technology and professional services, with a long history of leadership in federal government and intelligence contracting. Mr. Jan has over 28 years’ of successful experience providing Cybersecurity support to a wide range of IC and banking clients, including the National Security Agency, Office of the Assistant Secretary of Defense for Networks and Information Integration (OASD/NII), Department of Defense, the Joint Chiefs of Staff (Pentagon), Fort Detrick Army Base, US Airways, NationsBank and numerous others. Prior to founding Secure Tech, Mr. Jan served these agencies and companies in multiple high-level security contracting roles for companies such as Nortel Government Solutions, Mentor Technologies, The Sabre Group and The St. Paul. Mr. Jan possesses broad expertise in Information Security includes executive-level DoD policy and program budgeting and oversight, NSA/DoD Certification and Accreditation (C&A) processes and oversight, senior-level technical project and program management, security posture assessment, compliance management, education and training, customer relationship management and more. He possesses a thorough working knowledge of the Risk Management Framework and host of other directives, instructions, and memoranda. Mr. Jan is a Certified Information Systems Security Professional (CISSP), Certified Ethical Hacker (CEH), Federal Information Technology Security Professional – Management (FITSP-M), Certified FISMA Compliance Practitioner (CFCP), and certified in the National Security Agency’s INFOSEC Assessment Methodology (NSA-IAM). 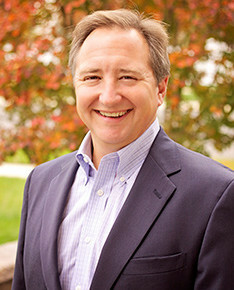 He holds a Master of Science degree in Information Technology from UMBC, and Bachelor of Science degrees in Computer Science and Mathematics from University of Baltimore. Over the course of his career, Mr. Jan has received significant industry recognition for his accomplishments including the Chesapeake Regional Tech Council, Cyber Forum Global Defender Award (2012), PEC’s Leadership Award (2004), the Defense-Wide Information Assurance Program Office Certificate of Appreciation (2003), a Letter of Appreciation from the Office of the Assistant Secretary of Defense (2003), and many others.